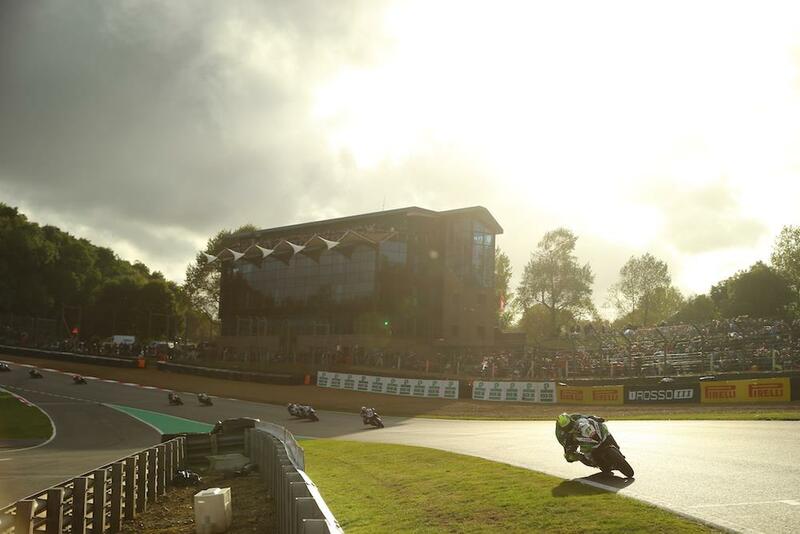 James Ellison celebrated a double victory to claim third in the overall standings and end his 2016 MCE Insurance British Superbike Championship season on a high in a ten lap sprint race on the Brands Hatch Grand Prix circuit. The race began with Ellison, John Hopkins and Ryuichi Kiyonari duelling at the front of the field, but the race was red flagged when James Rispoli’s Anvil Hire TAG Yamaha suffered a technical problem, leaving an oil line at Hawthorn. A ten lap restart saw a sprint race to the finish line, again Ellison hitting the lead at Paddock Hill Bend on the opening lap with Hopkins, Kiyonari and Christian Iddon in close contention. Iddon was instantly attacking and on the second lap fired the Tyco BMW ahead of Kiyonari at Paddock Hill Bend, closely followed by a hard-charging Leon Haslam. Ellison was under pressure from the growing freight train; Hopkins, Iddon, Haslam and 2016 champion Shane 'Shakey' Byrne were all battling for the final podium positions of 2016. An incredible scrap went all the way down to the wire with Haslam and Byrne making contact on the final lap in their last dash for supremacy in 2016. Byrne made it through to third, pushing Haslam back to fourth on the final lap as Ellison celebrated the final spoils of the 2016 season ahead of double podium finish Hopkins for the ePayMe Yamaha team.